The DVD releases of Agatha Christie’s Family Murder Party and Agatha Christie’s Criminal Games are French adaptations of Christie novels, originally released under the title The Little Murders of Agatha Christie (Les Petits Meurtres d’Agatha Christie). The productions are notable for taking a free hand with the original source material; sometimes the telemovies follow the novels closely, and in other cases the plotlines and solutions are radically reworked. Also striking is the fact that Hercule Poirot and Miss Marple are deleted. 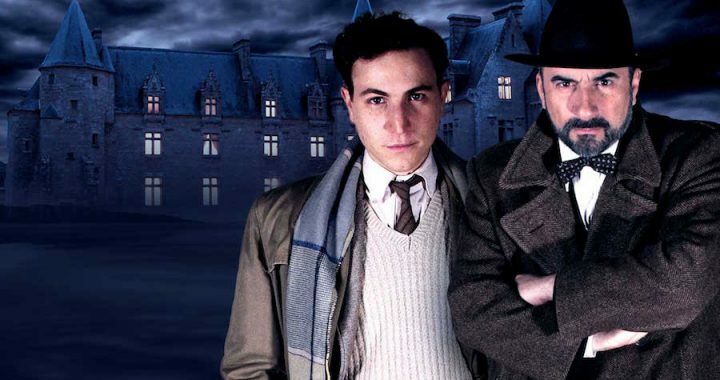 For the four (or five, depending on how the pilot miniseries is counted) seasons, Larosière and Lampion, a pair of police detectives (Antoine Duléry and Marius Colucci), solved the cases, set in the 1930s. (For my review of an earlier collection of five episodes featuring Duléry and Colucci, please see here https://strandmag.com/dvd-review-little-murders-agatha-christie/) After they left, the show jumped forward two decades and the new investigator was police officer Swan Laurence, (Samuel Lebarthe), ambitious journalist Alice Avril (Blandine Bellavoir), and loyal secretary Marlène Leroix (Élodie Frenck). Most of the standard episodes are 100 minutes long, but the pilot miniseries, Agatha Christie’s Family Murder Party, consists of four approximately 90-minute episodes. Based on Hercule Poirot’s Christmas, this is one of the longest adaptations of a single Christie novel ever. I have stated many times in the past—and I will continue to stress the point—that I am a Christie purist. I understand that an adaptation must by necessity make some changes, cuts, and even some additions if it is to work on-screen. But chop and rearrange too much, and you throw away a lot of the pieces of the puzzle. Christie has been blessed and cursed with both the brightest and clumsiest possible adaptations of her work. 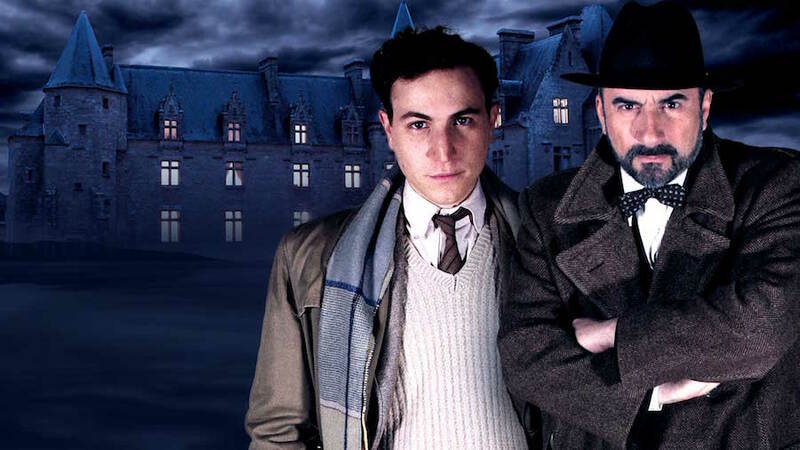 With a lengthy run time, a nearly doubled cast of characters, new subplots, added affairs, reworked characterizations, additional deaths, and Larosière and Lampion replacing Poirot, it’s stunning to say that Agatha Christie’s Family Murder Party is… surprisingly good, most of the time. The acting and production values are generally strong, and though the third episode drags a bit, for the most part the six-hour run time doesn’t sag. In the British productions, eighty-five minutes is much too short, one hundred minutes can work if crafted correctly, and three hours can be either a bit too long (Why Didn’t They Ask Evans?) or a bit too short (And Then There Were None). One of the shortcomings of the adaptation is the fleshing out the characterizations to emphasize the carnal aspects of the characters’ personalities, when other formative influences were neglected. Yet the massive cast of characters works really well together, and even if some of the new characters’ subplots wind up being largely red herrings, it’s a remarkably effective human drama for the most part, even if about half of it doesn’t come from Christie. As usual, the heart of the show is Larosière and Lampion, who polarize fans. Personally, I really like the actors, even if I think that sometimes the characterizations of the detectives veer into repetitive territory. I believe they have a strong on-screen dynamic, and this episode serves as introduction for the two, as they begin their working relationship and develop the bond that will eventually become a father-son connection. However… when charting the overarching narrative of the series, the ending of Agatha Christie’s Family Murder Party is an anomaly. (Oblique spoilers follow.) Without giving too much away, people familiar with the original book will be constantly on guard to track what has been changed for the miniseries and what has been retained. These Christie fans may wonder if the ending has been altered, due to what they know about the later trajectory of the series, and as it turns out, the ending of Agatha Christie’s Family Murder Party seems to be noncanonical, or at least the final half-hour of the show seems to exist in a different fictional universe from the remaining Larosière and Lampion adaptations. These adaptations keep what they want and add and swap what they please. Sometimes it works, but occasionally Christie purists are left pursing their lips. Regarded as a loose riff on the original source material, it works better than any other episode in the series. Plot-wise, the changes often lack the punch of Christie’s original ideas, yet sometimes, certain changes made for the purpose of time and location transportation are inspired, even brilliant, and the production standards are often outstanding, with many visually gorgeous elements. Agatha Christie’s Criminal Games covers six episodes of the 1950s-set later seasons of the show. While Larosière and Lampion were a detecting team, with one solving the case sometimes, and the other figuring out whodunit the next episode, Laurence and Avril aren’t quite a team. Avril is more like the younger sister who tags around annoying her big brother (this analogy fails a bit when it is hinted that the pair may have a romantic relationship down the road). Laurence is cool (sometimes cold), suave, cultured, and frequently infuriated by the buoyant, insistent Avril, who keeps inserting herself into Laurence’s cases. Sometimes, Laurence is downright cruel to Avril. For the most part, it’s Laurence who solves the cases, and Avril merely contributes a few uncovered clues. The third member of the team, Marlène, is played as comic relief. Frenck comes across as an intelligent actress skillfully playing a good-natured ditz. While Larosière and Lampion fought constantly but clearly cared about each other underneath it all, any bonds of affection between Laurence and Avril are harder to detect, and it’s only Marlène who both shows warmth for the other two and receives it in return. Criminal Games features adaptations of Sparkling Cyanide, Dumb Witness, Why Didn’t They Ask Evans?, Hallowe’en Party, Cards on the Table, and Murder on the Links. None quite reach the richness and depth of Agatha Christie’s Family Murder Party, and Cards on the Table (Cartes sur table) is definitely the best of the adaptations, with some good performances by the suspects and victim, and the leads working the best as a team. The other character-centric highlight of the series is Dumb Witness, due to the introduction of Laurence’s mother, who unsettles, flusters, and enriches the character of her son. Laurence becomes more human and even more interesting thanks to his mother’s presence, and it’d be nice to see her character appear in future episodes. I thoroughly understand why Christie purists (myself included) may have problems with the series, and often when the adaptations diverge from the original plot, the narrative meanders, the characterizations lose their punch, and emotional moments are diluted. Yet there is a lot of very impressive stuff in these adaptations, and they provide a fascinating look at a different cultural interpretation of Christie’s books. Agatha Christie’s Family Murder Party comes closest to illustrating how the author’s works can be adapted into art, and I would love to see future six-hour miniseries attempt to delve into the inner workings of the characters and explore what can drive individuals to murder. Really an excellent review; a pleasure to read about the experience of someone who fully understands what they’re looking at, has a strong command of the context, and states his pre-existing point of view. This always helps encourage me to purchase items like this because I clearly understand what I’ll get.